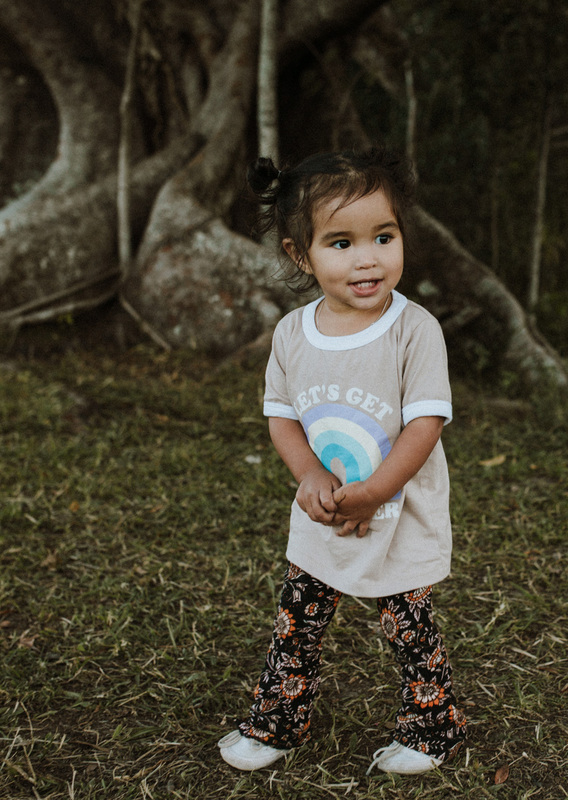 I first got talking to Eliza when she first started her amazing kids label Nu Natives. Honestly if you haven't checked it out, you gotta! I fell in love with her vintage style and spirited kids, so naturally I was eager to photograph the whole Nu Natives Cru. Problem was we live 8 hours apart, but last month all the stars aligned and I found myself up on the Gold Coast hanging out with this energetic tribe at The Ecovillage. Nothing like a rainbow of Converse, happy kids and a sunny winter afternoon to make my photog-heart flutter.